Replace Your Boring Chocolate Bunny With the Critically Acclaimed Acting of a Benedict Cumberbunny - The Daily What - Daily Dose of WHAT? Have you ever watched Benedict Cumberbatch in a movie or on TV and thought, "Yeah, he's a pretty good actor but he's just not creepy enough"? 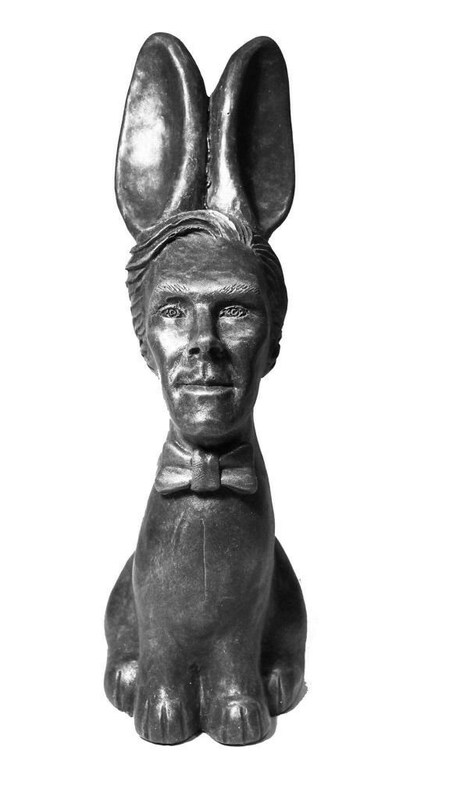 The chocolate Benedict Cumberbunny is apparently gilded with edible metallic dust and costs just £50 (about $70) a piece. The creator told Metro News that she wouldn't dare send one to the celebrity himself. She said, "I’m planning to send one over to his mum but not him. He might think it’s weird eating his own face."